Today we woke up and had breakfast in our hotel. A lot more bread, as we expected. 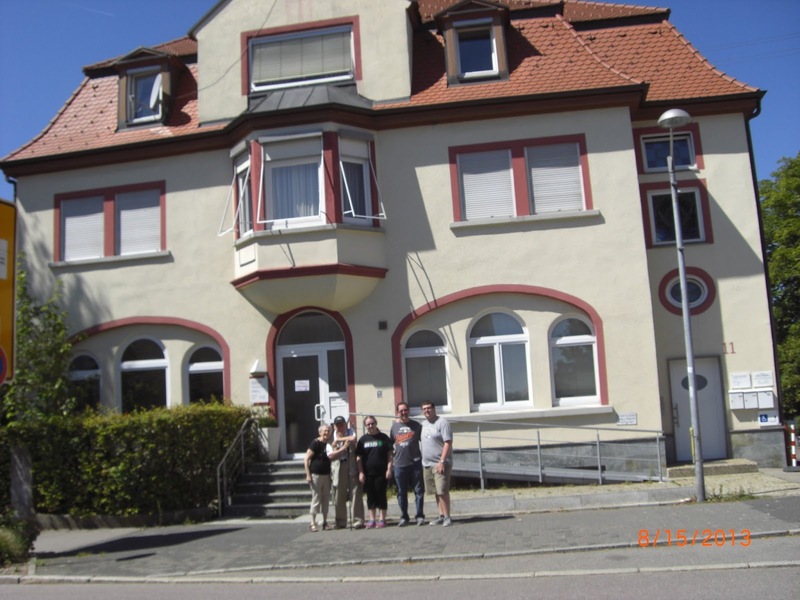 After finishing that, Opa got in touch with our friends the Werners, and we made our way to their house in Hechingen. The Werners are the Althoffs of Hechingen. When we arrived at their house, we were met with more food. The Werners had prepared coffee, candies, and most importantly, Black Forest cake. The cake was incredible. It was as authentic as it gets. Probably one of the best slices of cake I have ever had. 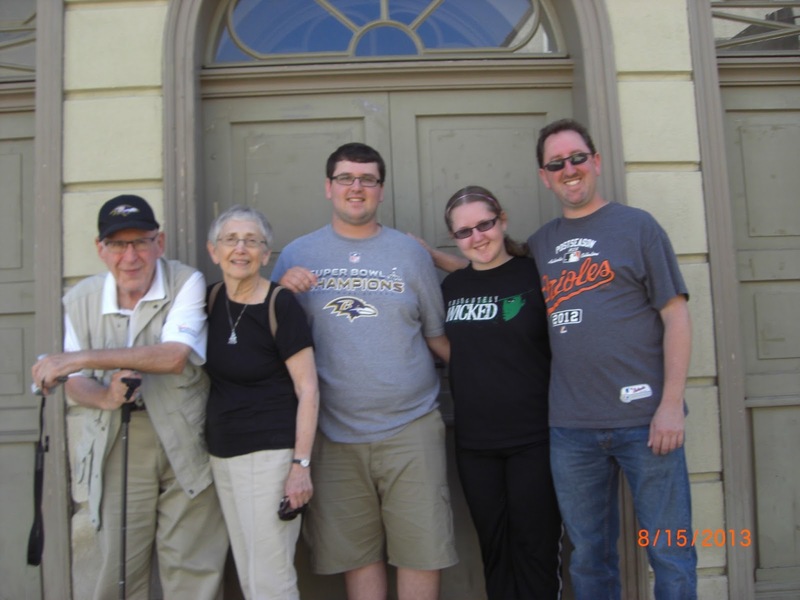 After eating, we left their house to go see some family sites around Hechingen. 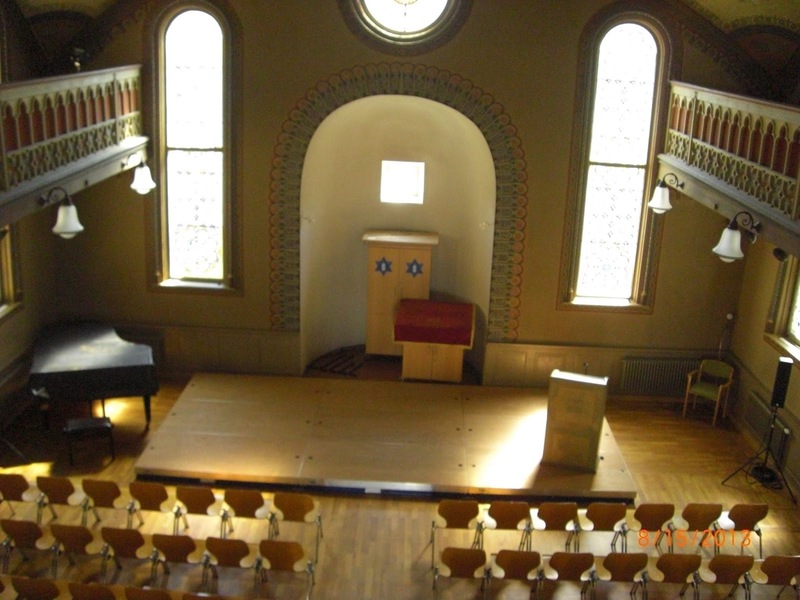 First, we went to the old synagogue, which was destroyed on Kristallnacht but later restored. It was an incredible feeling to be standing on the very same steps that so many of my relatives stood on after getting married seven decades ago. Once in the synagogue, Otto showed us a book he put together, which recorded every Jew to live in Hechingen between 1800 and 2000. He said it was real painstaking work. We left the synagogue after a little while and drove to the house where my great-grandmother Tessy grew up. At one time, the house held seven people, which wasn't so much for such a big house. But it's hard to imagine them all moving from that big house to the little apartment in Washington Heights. We parted with the Werners for the time being and made our way to the nearby town of Haigerloch. 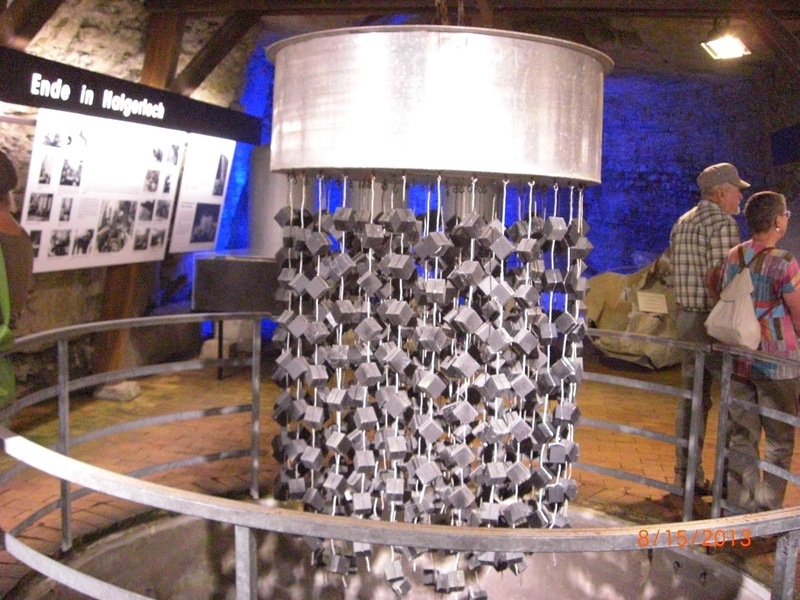 Haigerloch holds the site of the Nazi attempt to build an atomic bomb during the Second World War. Now the site is a museum, and it was pretty interesting. The museum is literally in the middle of nowhere. It was a nice spot to put a nuclear testing facility, given that no one in Haigerloch or any of the nearby towns knew of any of the Nazi attempts. But that is the way it was supposed to be. Near the end of the war, when the Allies were approaching Germany, the Nazis wanted to blow up the facility and destroy the evidence of their work. But above the facility was a church, and the priest wouldn't let them bomb it. That's why it is still intact. For dinner that night, we met up with the Werners at a nice restuarant, a pretty authentic German meal. 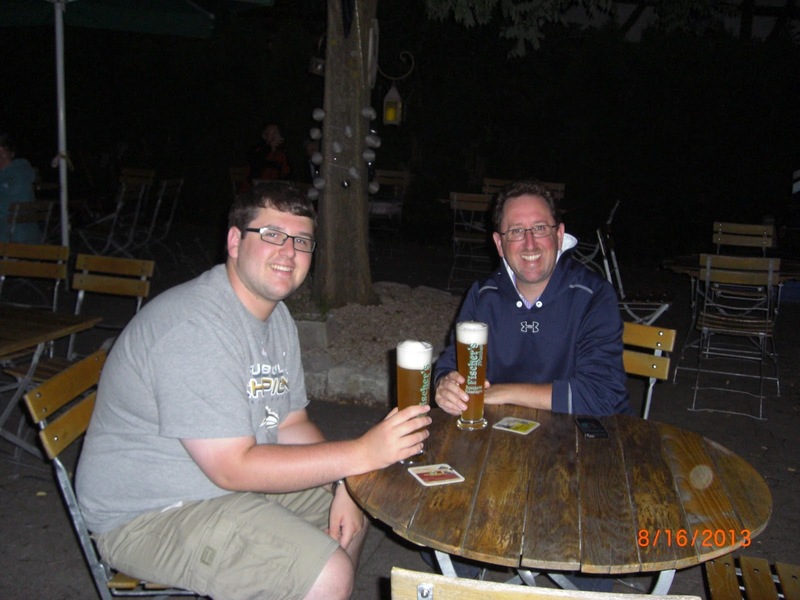 After finishing dinner, my dad and I went to get a beer, and then went back to the hotel to get some sleep.